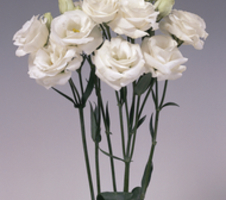 Florensis Cut Flowers supplies a wide range of cut flowers from seed. We obtain the seeds for our products from the world’s best breeders, which allows us to produce and supply the widest possible range of high quality young plants. With these genetics, we can offer our customers – professional cut flower growers – a product suitable for their needs for any time of year. And as we use the latest cultivation methods, we can guarantee an outstanding level of quality year round. One of the latest results of our breeding: a beautiful, uniformly flowering series that produces stems of good length. This series requires little energy to produce beautiful cut flowers with good keeping qualities early in the season. This series features beautiful double crests, a high yield and reduced susceptibility to Botrytis. 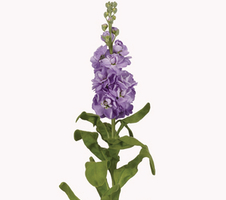 Our Antirrhinum assortment includes many series with various colours within each one. Animation F1 comprises proven varieties which are particularly suitable for cooler cultivation early in the season. In recent years we have paid particular attention to improving Animation White. As a result, the entire series is suitable for uniform production early in the season. The colours available are White, Dark Orange, Rose and Royal Purple. New in the Matthiola range: Mathilda Rose and Lavender! For the upcoming season, we are launching two new colours in the Mathilda series: Rose and Lavender. The Mathilda series is easy to sort and is one of the most uniform series available with a high production rate. The Mathilda series now consists of six colours: White, Yellow, Blue, Pink, Rose and Lavender. For more information, contact your Florensis representative. The new planting season for Ranunculus is fast approaching. Place your order for the autumn now so you can get the full range in the quantities you want. From mid-September, you might also like to take a look at our Surplus List, where you’ll find a huge range of Ranunculus varieties on offer.